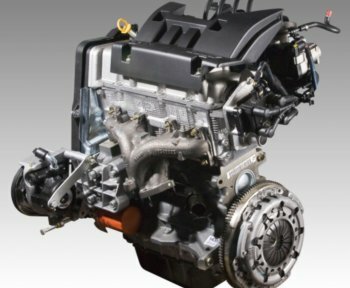 Twelve higher educational institutions were the winners of the third edition of the contest Fiat Proyecto Motor, an initiative that Fiat Auto Argentina organises through Fiat's FPT (Fiat Powertrain Technologies) division and which is developed together with AutoTécnica TV, a regional television broadcasting program. The educational institutions chosen to take part in the third edition, which ably built on the success of the first two programmes, such as technical schools, research institutes and universities, were each rewarded with an engine produced in Fiat Argentina’s manufacturing plant located in Córdoba. The Córdoba plant builds cars, engines and transmissions. Vehicle production stopped at the huge facility several years ago due to economic concerns, but will resume this winter when the Fiat Siena will be turned out, followed next year by a joint Fiat-Tata pick-up. Córdoba also builds gearboxes for PSA Peugeot-Citroen and petrol engines for Fiat. The contest Fiat Proyecto Motor was first launched almost three years ago in September 2004 in order to encourage wider support for Fiat Auto engineering skills and to test the capacity, talent and ability of the students of the selected Argentinean educational facilities which were chosen to take part, to work as a team. 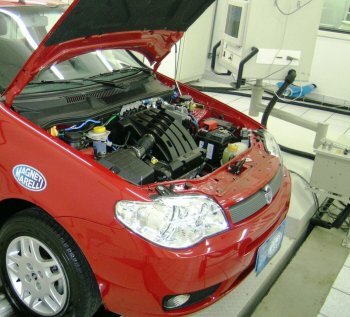 The contest Fiat Proyecto Motor was first launched in September 2004, in order to encourage wider support and to test the capacity, talent and ability of the students of the educational facilities chosen to take part to work as a team. Twelve higher educational institutions were the winners of the third edition of the contest Fiat Proyecto Motor, an initiative that Fiat Auto Argentina organises through FPT and AutoTécnica TV. The technical schools of Argentina soon embraced the concept. The jury composed of the host of AutoTécnica TV, Alberto Garibaldi, his on-screen technical team and the responsible for the professional training of industrial employees of Fiat Auto Argentina, Félix Piozzi. They examined the entries and then selected the twelve best works that were presented in the contest. Each work project was produced by groups made up of up to six members in the case of students led by a teacher from each institution and in the case of researchers, of the departmental authority, they all focused on the development of a mechanical, electronic or electromechanical concept of direct application in either industrial or car engines. The finale of Fiat Proyecto Motor saw a ceremony conducted at the headquarters of the Universidad Tecnológica Nacional (UTN) by its academic members, the host of AutoTécnica TV, Alberto Garibaldi, and the Director of External Relations of Fiat Auto Argentina, Javier Vernengo.